Never before has there been a complete intra-workout product like Battle Juice. 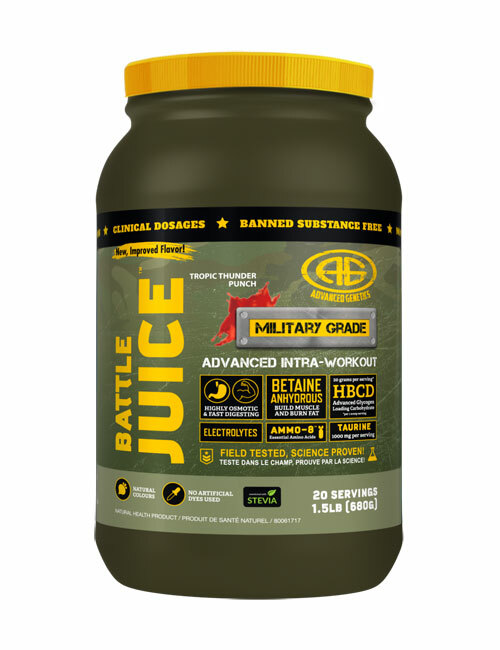 Battle Juice is a carefully planned out formula designed to maximize muscle growth, decrease cortisol and speed recovery from intense workouts. If you just “go through the motions” you don’t need Battle Juice. If you train “balls to the wall”, you do. Never before has there been a complete intraworkout supplement like Battle Juice. 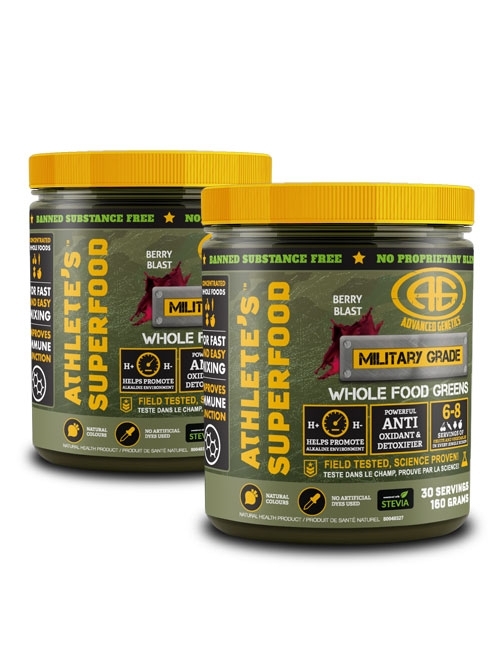 Battle Juice is a carefully planned out formula designed to maximize muscle growth, decrease cortisol and speed recovery from intense workouts. If you just “go through the motions” you don’t need Battle Juice. If you train “balls to the wall”, you do. Mix 1-2 scoops of Battle Juice in 300-600 ml of water. Sip on the drink leading up and throughout your workout. Cluster Dextrin – (Highly Branched Cyclic Dextrin) is a new type of dextrin that is produced from amylopectin via a cyclization reaction of a branching enzyme (BE, 1,4-α-D-glucan: 1,4-α-D-glucan 6-α-D-(1,4-α-D-glucano)-transferase, EC 2.4.1.18). 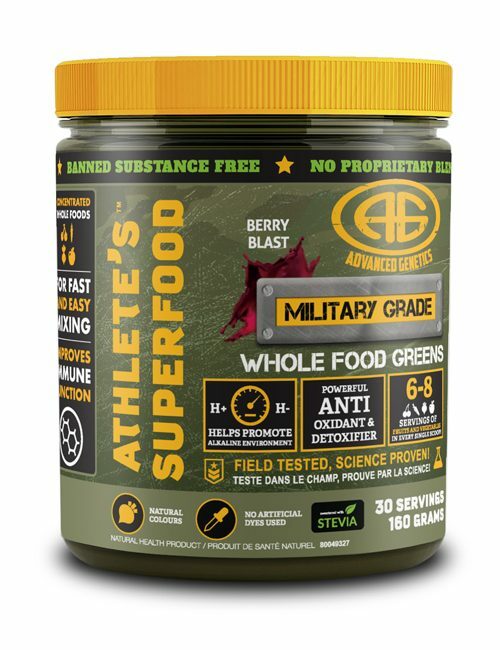 This expensive, high molecular weight low osmolality carbohydrate source is rapidly exited through the stomach to the small intestine and then to glycogen stores in muscles where it promotes better performance and extreme pumps! Betaine Anhydrous – shown to increase muscle strength and power, increase protein synthesis and creatine production in the body. One human study showed an increase of 4 pounds of lean muscle (arm size by 10%) and a decrease of 7 pounds of fat using the same dose available in 2 scoops of Battle Juice! Taurine – a conditionally essential amino acid, Taurine functions in the tissues by stabilizing cell membranes, aiding the transportation of potassium, sodium, calcium, and magnesium in and out of cells. It also helps in the regulation of muscle contractions, water balance, and energy levels of neurotransmitters in the brain. Sodium Citrate/Potassium Citrate/Magnesium Oxide – promote intracellular and extracellular fluid balance, are essential for electrical activity of neurons and muscle cells and ATP production. 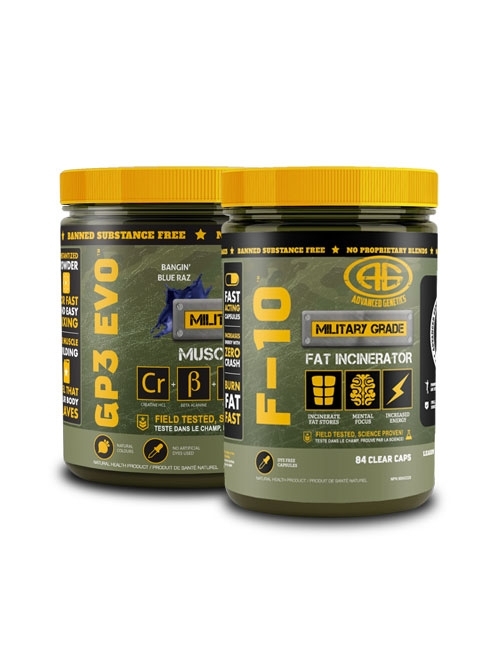 AMMO-8 Essential Amino Acids Supplement (EAAs) -the most advanced amino acids supplement formula with an anabolic effect 300% more than whey and 33% over normal EAA (essential amino acid) formulations, AMMO-8 sparks protein synthesis and halts muscle breakdown. When do I take Battle Juice™? Sip on Battle Juice throughout your workout. Can I stack Battle Juice? 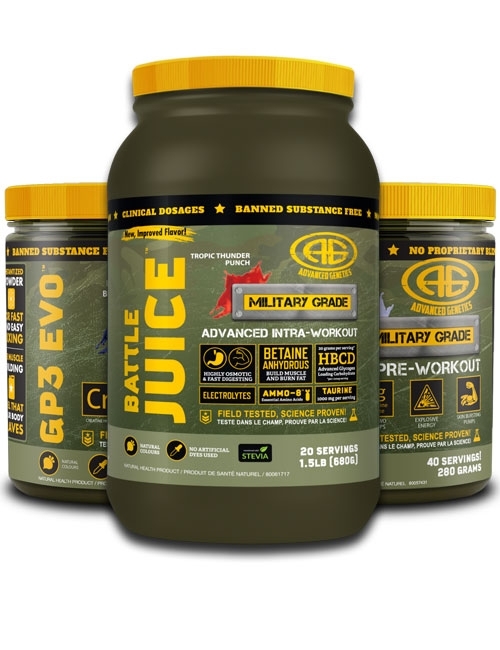 You can combine Battle Juice with GP3 EVO. If you like, you can take any one of our pre-workouts before training. Do I have to take Battle Juice on non-workout days? Do I need to cycle Battle Juice? No – you will only be using it on training days. If you are on a very low carb protocol you can switch out Battle Juice for AMMO-8. Are there any artificial colors or sweeteners in Battle Juice? Battle Juice Citrus is stevia sweetened and contains no artificial colours. Battle Juice Tropic Thunder Punch is sweetened with stevia and sucralose and contains no artificial colours. Why should I use Battle Juice? If your goal is to build lean muscle, Battle Juice is your only intra-workout option. Battle Juice improves muscle synthesis and lowers cortisol and muscle soreness, maximizing muscle growth and recovery beyond anything else currently available. READ THE SCIENCE BEHIND BATTLE JUICE HERE! Pasiakos, S. M., McClung, H. L., McClung, J. P., Margolis, L. M., Andersen, N. E., Cloutier, G. J., … & Young, A. J. (2011). 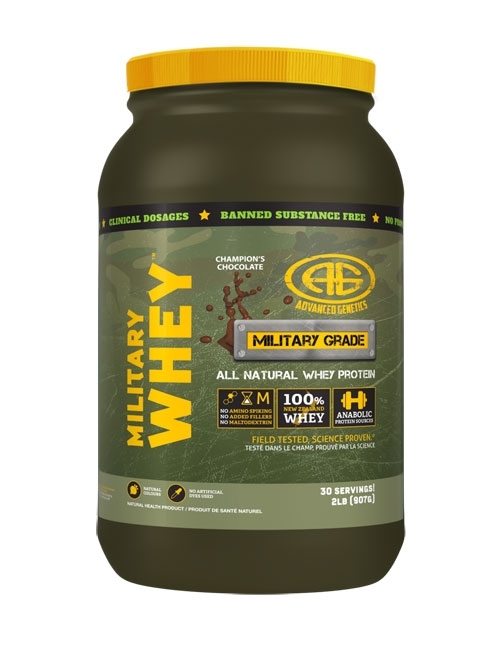 Leucine-enriched essential amino acid supplementation during moderate steady state exercise enhances postexercise muscle protein synthesis. The American Journal of Clinical Nutrition, 94(3), 809-818. Battle Juice has become a staple in my training arsenal. Great energy, fantastic pumps and a full serving of EAA. I never train without it.